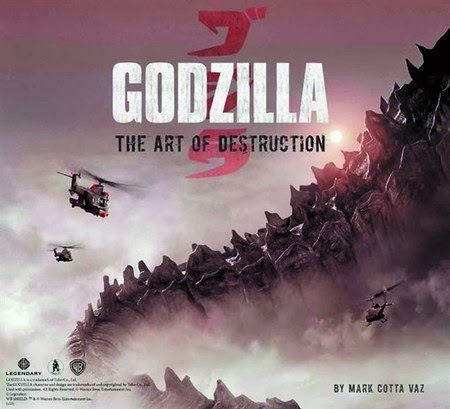 This "making of" book about the new Legendary Godzilla 2014 movie is due for release this May. It will include concept illustrations, sketches, storyboards, and other pre-production materials. The book was announced on MovieWeb.com today and the headline says the book arrives this Summer. According to Amazon.com it will be available as soon as May 13, 2014. This will be done by the same folks who put together the awesome Pacific Rim book (Pacific Rim: Man, Machines, and Monsters), so this should be pretty amazing--but, of course, we had you at Godzilla. Godzilla is a trademark of Toho Co., Ltd. The Godzilla character and design are trademarks of and copyrighted by Toho Co., Ltd. Used with permission. All Rights Reserved. © Warner Bros. Entertainment Inc.